Roaring Lion will be running in the Queen Elizabeth II Stakes at Ascot on Saturday afternoon and not the Qipco Champion Stakes, as a result of the rain-softened ground. The John Gosden-trained colt, who has won three Group Ones over a mile and a quarter since placing in the Epsom Derby behind Masar, will revert back to a mile for the first time since he finished fifth behind Saxon Warrior in the 2,000 Guineas at Newmarket in the spring. I don't think there's any question now he's a faster horse than when he ran in the Guineas. 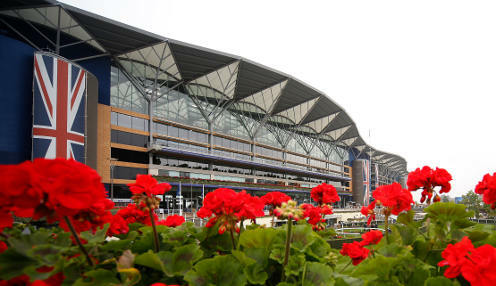 The Queen Elizabeth II Stakes takes place on the straight mile at Ascot, where the ground is marginally better than the round course on which the Champion Stakes will be run. David Redvers, racing manager to owner Sheikh Fahad, feels Roaring Lion will be able to drop back to a mile without issue. "Obviously it's disappointing he can't compete in the Champion Stakes, but all along we've known that while we don't have too much of a fear about him acting on soft ground, he's got too good an action to have him flying through mud," he confirmed. "Also, he seems to be more about speed this horse, he's not a grinder - he's got a serious turn of foot. I don't think there's any question now he's a faster horse than when he ran in the Guineas." Roaring Lion is 2/1 to win the QEII at Ascot on Saturday, with flying filly Laurens priced at 13/2 and Lord Glitters available at 11/2. Redvers admitted it was hard to skip the Champion Stakes with a horse that has won the Eclipse, the Juddmonte International and the Irish Champion Stakes on his last three starts. "We just needed the weather to hold for one more week. It's heartbreaking, but it's the price we pay for running the meeting when we do, but there's nothing we can do about it," he added. Gosden's Cracksman, winner a year ago, is now 5/6 to retain his crown in the Champion Stakes at Ascot with Roaring Lion out of the picture.